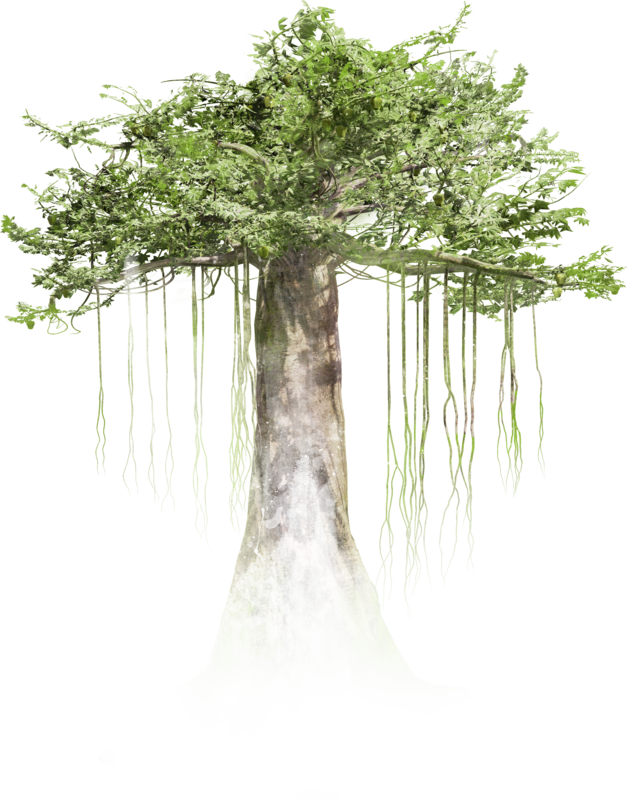 This virtual-reality project transforms you into a rainforest tree. 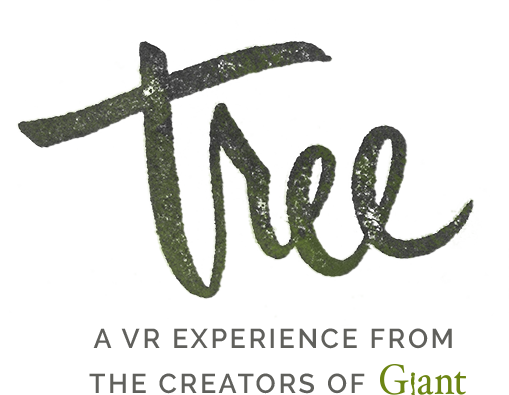 With your arms as branches and your body as the trunk, you’ll experience the tree’s growth from a seedling into its fullest form and witness its fate firsthand. We are grateful for everyone who has taken time for our rainforests. Forests are critical to the survival of every living thing on earth. They’re a source of air, water, shelter and medicine. Forests are also our best defense against climate change. Yet, every year, humans destroy as much forestland as the entire country of Panama. Deforestation fuels a triple whammy of global warming that generates 25 percent of all greenhouse gas (GHG) emissions worldwide: the loss of GHG-absorbing trees, the release of stored carbon when trees are felled or burned and the emissions caused by the conventional farms that often replace forests. This cycle of destruction threatens biodiversity, global food security and the livelihoods of 50 million people around the world. The Rainforest Alliance has conserved millions of hectares of forestland worldwide, in partnership with indigenous forest communities, farmers, governments, companies and people like you. Milica Zec is a film and VR director, editor, producer, and screenwriter. Her debut VR film, “Giant,” has been a highlight of film and new media festivals including Sundance New Frontier and Cannes’ NEXT Programme. Based on real events, "Giant" has been critically lauded as an example of VR's incredible potential to encapsulate the human experience. Prior to creating “Giant,” Milica collaborated with the performance artist Marina Abramovic for nine years, including on her seminal show, “The Artist is Present" at the Museum of Modern Art in New York City. Since 2015, she has been a member of NEW INC, the New Museum’s art, technology, and design incubator in New York City. Her latest project “Tree” is an official selection of Sundance Film Festival New Frontier 2017. Winslow is a Brooklyn-based film and virtual reality director, producer and creative technologist. Winslow has always been fascinated with the possibilities of how the intersection of art and technology can elevate storytelling. After beginning his career as a film editor and modern-dance composer, Winslow attended NYU Tisch Interactive Telecommunications Program and delved into the world of creative technology soon thereafter. Winslow’s previous work includes interactive experiences for Google, Delta, Diesel, TED, Merrel and Wired. While at Carbon Pictures in 2014, Winslow produced the Tribeca Film Festival Transmedia Award–winning documentary CLOUDS. Since 2015, he has also sustained a membership at NEW INC. 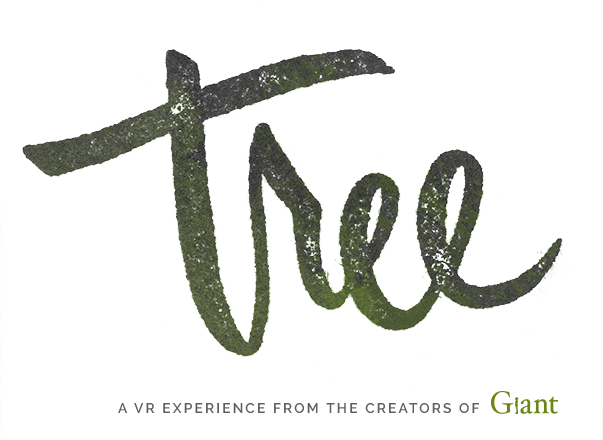 He now has six years of experiential work under his belt, and Tree is his sixth VR project. New Reality Company is a creative studio dedicated to utilizing virtual, augmented, mixed and actual reality to explore the human experience. As a highly collaborative company, New Reality partners with corporations, foundations and artists from all disciplines to help elevate their message. At the 2016 Sundance New Frontier festival, New Reality premiered Giant, a VR film portraying an American family in an active war zone. Giant is one of the first VR projects to combine semi-volumetric live-action video with game-engine software. 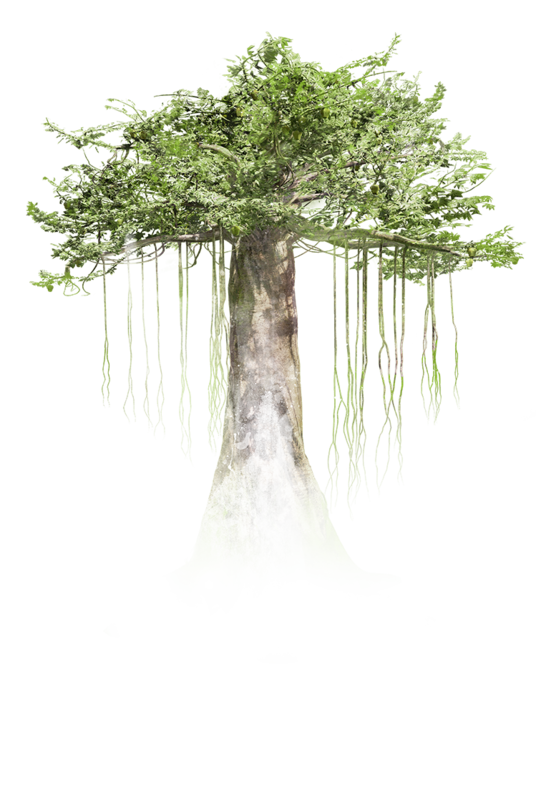 Tree is the second piece of New Reality’s trilogy, which focuses on on man-made catastrophe and positive social change. 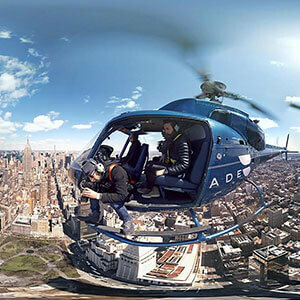 Here Be Dragons is a specialized and focused production studio that supports the world’s leading creative innovators in virtual reality spherical filmmaking. The Here Be Dragons collective utilizes custom-built tools and technology to craft and curate original immersive experiences. Here Be Dragons’ creative team and production talent are industry leaders in short-form commercials, music videos, feature film, theatre, design, photography and fine arts with a proven track record in creating stories that inspire and truly resonate, collectively earning them numerous Emmys, Cannes Lions, Grand Prix, Palme d’Ors, AICP, D&amp;AD, One Show, ADC, Tony, Webby Awards and a Grammy. Droga5's DNA is creatively led, strategically driven, digitally native and humanity obsessed. 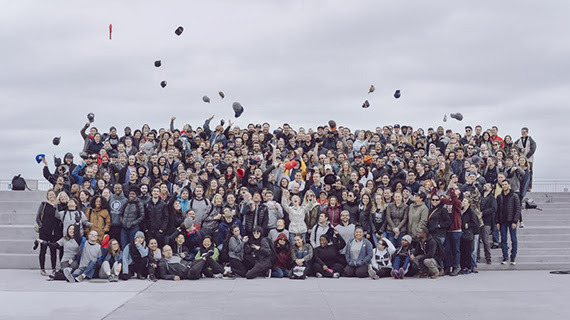 Droga5 is a group of nearly 700 smart, ambitious and genuinely nice people who are gracious to be awarded for their good work along the way. Droga5 has won Agency of the Year more than 10 times collectively from Ad Age, Adweek and Cannes, among others. Some of the agency's most notable campaigns over the last several years include Honey Maid, “This is Wholesome;” “The Great Schlep;” “Equal Payback Project” featuring Sarah Silverman; The Clinton Foundation, “Not There;” UNICEF, “Tap Project;” Under Armour, “I Will What I Want;” The Y, “Places,” and Shea Moisture, “Break the Walls,” among many others. Aleksandar Protić is a sound artist, designer and producer from Belgrade, Serbia. For the past 12 years, he has been the lead sound designer on more than 40 feature films and 3,000 television commercials, and he frequently collaborates with renowned filmmaker Emir Kusturica, a two-time Cannes award-winning director from Serbia. Jakob Kudsk Steensen is a Danish digital artist based in NYC. 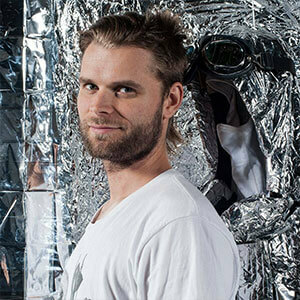 He develops immersive installations, which combine virtual reality with video, performance art and documentary filming. 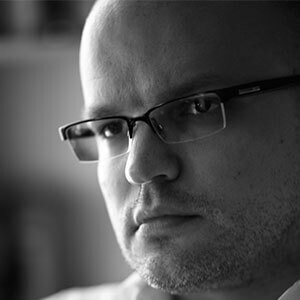 Jakob is trained in fine arts, and he uses game engines to develop his work. This allows him to bring a fresh perspective to the virtual reality industry of today. His work has been shown internationally at film festivals and museums. Most recently, he has shown his work at MAXXI, Rome Museum of Modern Art, Istanbul Contemporary, Museum of Modern Art Valencia, Temple Video Festival and New Realities organized by the Moving Image Fair. He has received awards from the Danish Arts Foundation and The Augustinus Foundation, and in 2016, he was a finalist for Climart. He has been an artist in residence at Bemis Center for Contemporary Arts, AADK, Centra Negra, MASS MoCA and BRIC. Devon is a producer of virtual reality, live experiences and events. Devon has served as the Director of the Topanga Film Institute, where she revitalized the annual festival - dubbed "one of the coolest festivals in the world" by Filmmaker Magazine - and was featured in the LA Times as an inspiring female entrepreneur. 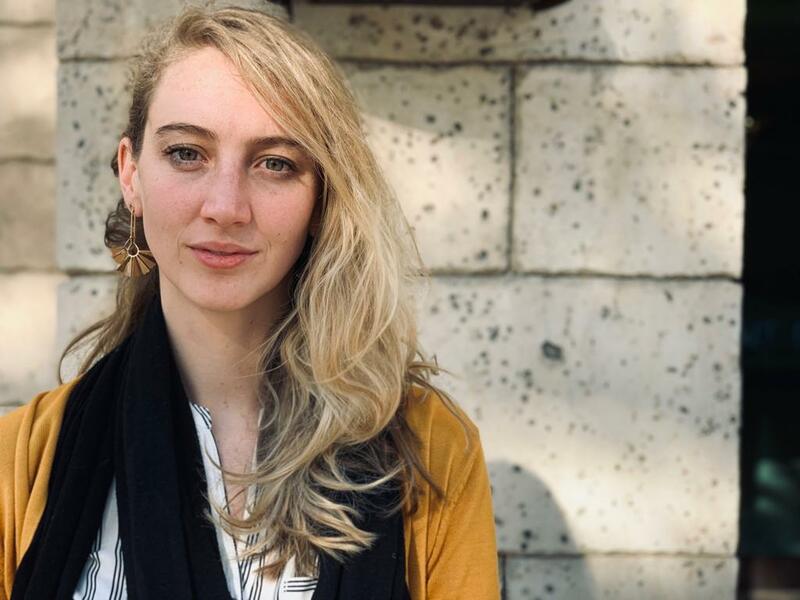 Prior to this, Devon spent six years in Ireland and the UK where she worked as a producer of live events in tech+storytelling, including programs in partnership with Directors Guild of America, Arri Alexa and the Google venture "The Science Gallery." She holds an M.Phil in Theatre and Performance Studies with a focus on 'Liveness in Digital Culture' from Trinity College, Dublin. Scott Gershin has been telling stories with sound for the past 30 years on such films as Born on the Fourth of July, American Beauty, Shrek and Pacific Rim. That, combined with designing and mixing for interactive entertainment, makes VR a perfect fit for him. Scott recently joined Technicolor as director of audio where he is heading up the sound editorial dept for film, VR and games. 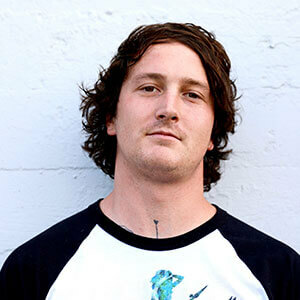 Erik Anderson is a Santa Cruz–based freelance video game programmer and designer specializing in Unreal Engine 4. Graduated from Columbia College Chicago in 2012 with a degree in game programming, he has over 8 years of programming experience in both virtual reality and video games alike. Apart from video games and VR experiences, he has also worked on a string of music videos such as AS-Chingy and Danny L Harle’s “Ashes of Love” and others with artist Sam Rolfes. 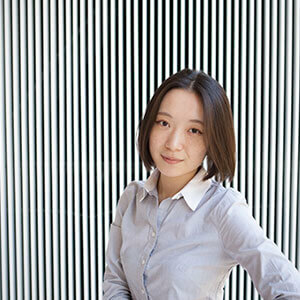 Xin Liu (刘昕) is a media artist, interaction researcher and engineer. She has shown her work internationally at events and venues including International Symposium on Electronic Art , Boston Museum of Fine Art , Music Tech Festival Berlin , OCAT Shanghai , Eyebeam Art and Technology Center in New York City and The New Spotlight in International Design Week . 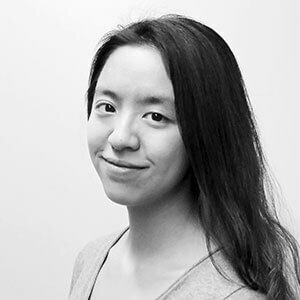 As an HCI researcher, Xin has worked in institutions, including Microsoft Research NYC, Microsoft Research Asia, Google ATAP and TASML, and she has presented her research at international conferences including UIST, TEI, DIS and Augmented Human. Xin is currently a master’s candidate in Fluid Interfaces Group at MIT Media Lab. Yedan Qian is an interaction designer, artist and engineer, focusing on interactive installations and virtual-reality experiences. Through new technologies, she has been augmenting the human body and the environment to change how we engage with each other and the way we think. As an interaction designer, she has worked in institutions including Samsung Research America, Baidu Institute of Deep Learning and Designit Copenhagen. 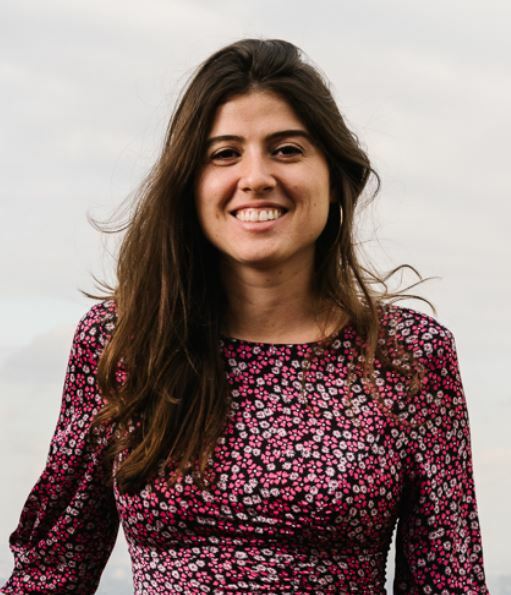 Yedan is currently a visiting researcher in Fluid Interfaces Group at MIT Media Lab and master’s candidate at the Umeå Institute of Design, Sweden. 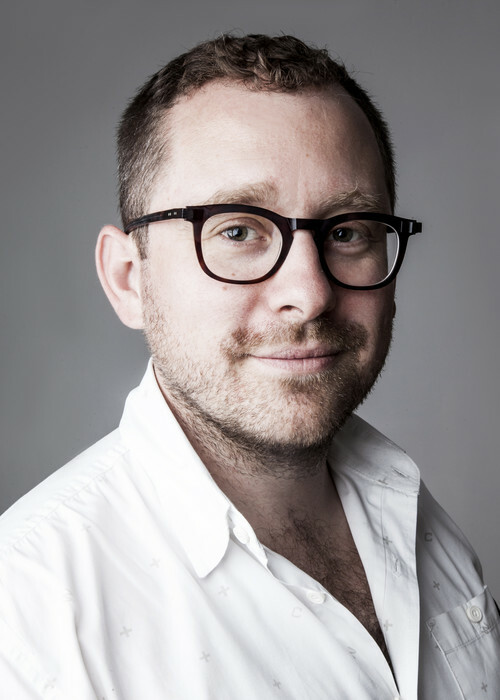 Mike Woods founded both the digital department and VR studio at Framestore. In June 2015, he cofounded a new virtual-reality company called White Rabbit, whose first ambitious offering is due in April 2016. 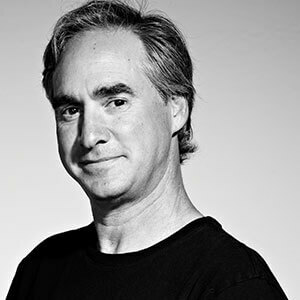 With creative and technical knowledge of all things gaming, social, and experiential, Mike has become a pioneer of real-time filmmaking, animation and virtual reality. Successful campaigns for Coca-Cola, Geico and Beats led to a huge amount of pure VR work, including directing the groundbreaking HBO Game of Thrones Oculus Rift exhibit, launching apps for Samsung Gear VR, creating the Teleporter for Marriott Hotels and a virtual tour of the Endurance spaceship from Christopher Nolan’s Interstellar, and two groundbreaking Marvel experiences, among others. 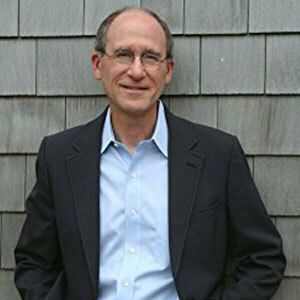 Ted Schilowitz was the first employee and founding team member at RED Digital Cinema and cofounder of G-Tech. 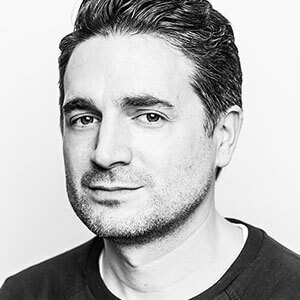 He currently serves as futurist for 20th Century Fox—where he works directly with Fox studio executives on the next generation of visual storytelling, such as the Martian VR experience—and as chief creative officer at Barco, where he spearheads the creative aspects of the Barco Escape cinema project. Barco Escape, which adds immersive right and left screens to movie theaters, includes Paramount Pictures Star Trek Beyond and 20th Century Fox The Maze Runner and Maze Runner 2, Scorch Trials. Marcie Jastrow is an industry veteran with over 20 years in the entertainment business. Currently the SVP of immersive media at Technicolor, Marcie is the head of the Technicolor Experience Center, a space dedicated to bringing partners together across the VR/AR space to ignite powerful stories through creative technology. Marcie was previously responsible for growing Technicolor’s post-production sales pipeline. 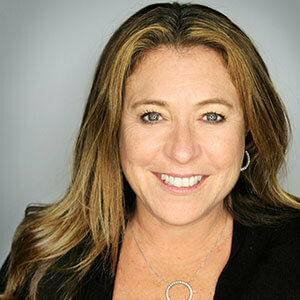 Prior to joining Technicolor, she served as EVP of sales at Laser Pacific, which Technicolor acquired in 2011, and as SVP of sales at Modern VideoFilm for more than eight years. Known for her ability to bring together teams and workflows together, her passion lies in bringing a creative vision to life. 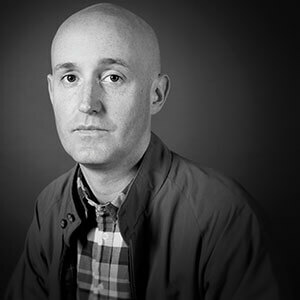 Tim Dillon is head of VR and immersive content at MPC, leading a group focused on the exploration of original content, music, advertising, entertainment and experiential production. Tim has been instrumental in the development and production of many notable projects including Sundance-selected Heroes, Google’s Tilt Brush, Kygo’s “Carry Me,” OneRepublic’s Kids,” an experience for Nature Conservancy, Facebook Surround 360,, U2’s “Song For Someone” and VR for The Martian, Goosebumps, horror-favorite Catatonic. Tim is a vocal advocate for the experiential power of VR and has spoken at events such as Sundance, SXSW, AICP, NAB, CES and many other. 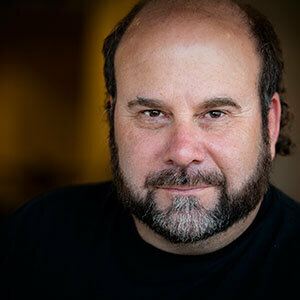 Tim is based in Los Angeles at MPC’s Culver City studio.